Complete repair and rebuild services for all types and brands of crushers, screens and feeders. From hydraulic and drive systems to wear parts, we have the capability to serve you. Caterpillar utilizes the second life built into CAT parts by reconditioning them up to CAT standards. *Pricing on the unit listed is viable to be changed at the discretion of Cleveland Brothers. Not all units are available at the time of inquiry. 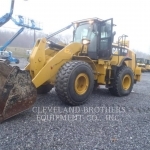 Contact Cleveland Brothers Used Equipment for availability and additional details. 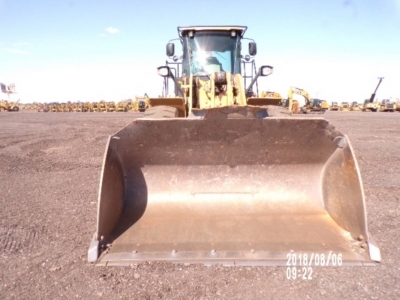 Receive monthly emails listing newly available used equipment for sale. © 2019 Cleveland Brothers CAT. All Rights Reserved. 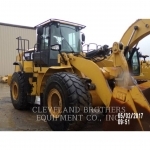 Cleveland Brothers Equipment Co., Inc. is your source for new and used heavy equipment and industrial machinery that grows your business and increases productivity. Cleveland Brothers works with companies to determine the ideal Caterpillar machinery and tools for their diverse operational requirements. Caterpillar equipment, forestry vehicles, power systems, hydraulics and rental vehicles are just a few of the many solutions available from Cleveland Brothers – our huge inventory of parts and our global partner network allows us to equip customers with the highest-quality machinery and equipment available on the market today. CAT equipment, attachments, tools and service programs are at the core of Cleveland Brothers' success. Our staff of nearly 600 technicians brings decades of experience working with CAT machinery to light when working on a personal level with each and every customer. With flexible financing options and unrivaled customer service, our friendly and knowledgeable sales representatives are here to help you throughout the process of purchasing your new or used heavy equipment. CAT heavy machinery sets the standard against which all other industrial equipment is measured. 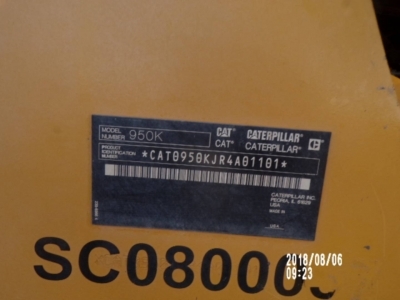 The superior engineering and materials used in the manufacturing of CAT equipment over the years has won the company its sterling reputation among owners and operators across the world. Cleveland Brothers is proud of our extensive experience of providing CAT equipment to our customers for many years. 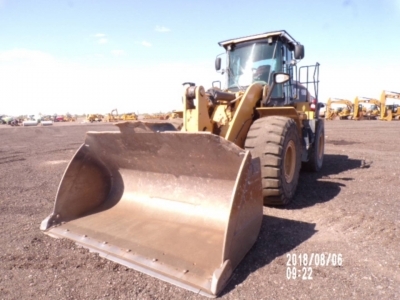 In our online inventory, you can find our listings of currently available new CAT equipment and heavy machinery, as well as further details about each product. 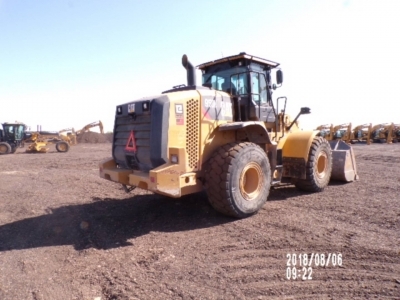 Our inventory is frequently updated as Cleveland Brothers stocks new CAT equipment, crushers and screeners, power systems and rental vehicles. 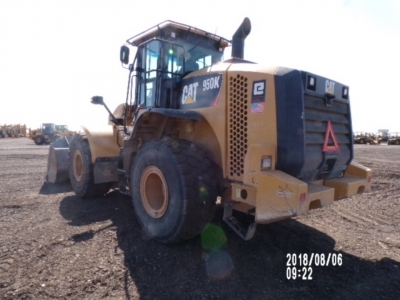 CAT equipment is a substantial investment for any company, and Cleveland Brothers recognizes the importance of providing full support before and after your purchase in order to ensure your equipment is always working at peak performance. 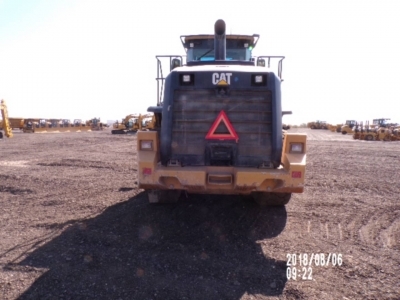 Repair and maintenance services from Cleveland Brothers are available to help customers make sure they're getting the most out of their new CAT equipment. These plus many more form the huge inventory of Cleveland Brothers new equipment. Contact us today for more information about any of our vehicles and to speak with a sales representative who can help you find the best match for your company. 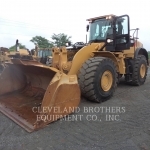 Cleveland Brothers carries an extensive inventory of high-performance, robust used machinery and attachments. In addition to Caterpillar used equipment, we offer brand names such as Deere, Komatsu, Godwin, Sullair and more. 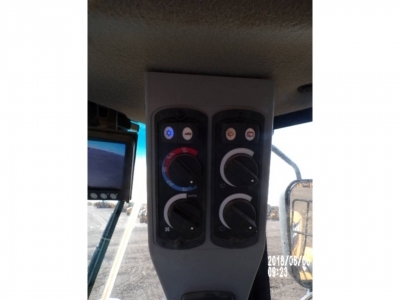 Used compact equipment and power system components are available as well. Used machinery is an affordable alternative to new equipment, especially when you buy from Cleveland Brothers. We maintain state-of-the-art departments dedicated to restoring, repairing and inspecting every piece of used machinery we offer our customers. Our dedication to each customer is evident in the importance we place on ensuring the used machinery we offer performs to meet our highest standards. 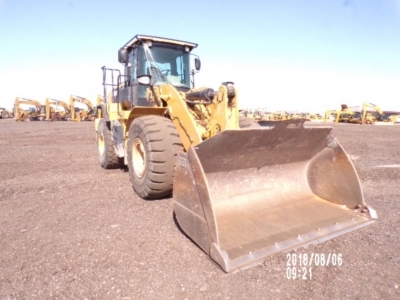 Cleveland Brothers has online information about each piece of used machinery in our inventory, from detailed usage histories to serial numbers and price estimates for the products we currently have available. 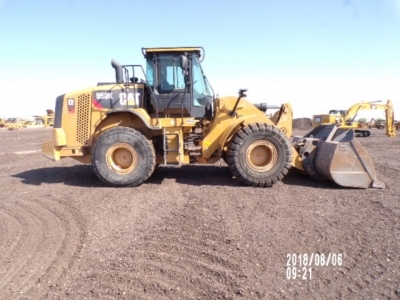 Contact Cleveland Brothers directly to inquire about a specific piece of equipment or for assistance with finding the perfect match for your job site. A major component of Cleveland Brothers' interactions with our customers involves our full-scale repair and maintenance services. Our parts and service department consists of a support network of Cleveland Brothers professional technicians who are just a phone call away if your equipment breaks down or malfunctions. Cleveland Brothers boasts a fleet of over 175 Field Service Trucks for incredible responsiveness to our customers. 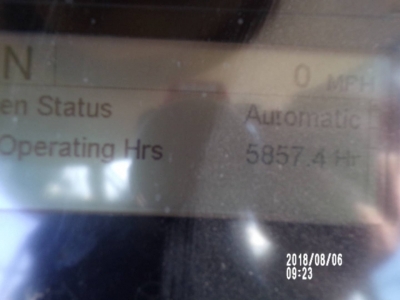 We understand the damaging impact any amount of downtime can have on a customer's business operations and bottom line. This drives our commitment to getting your heavy machinery back up and running as soon as possible. Of course, preventing break downs and malfunctions is the best way to maximize productivity and profits. Cleveland Brothers' preventive maintenance programs aim to do just that, through regular inspections and maintenance to keep machines performing at peak capacity at all times. Regardless of the size of your company, the brand name of your equipment or the extent of damage to be repaired, Cleveland Brothers can supply the parts and expertise necessary to decrease your machinery's downtime as much as possible. A crucial aspect of our service programs is our new and used parts program. With over 170,000 line items in the Cleveland Brothers' inventory of parts, the parts needed to repair your vehicle quickly and efficiently are never far away from our technicians. We also maintain an extensive network of parts drops across Pennsylvania, Maryland and West Virginia for easy access and rapid delivery. Cleveland Brothers is one of the few CAT equipment suppliers to maintain such an extensive parts and service program. Our focus is on responding to the needs and requirements of our diverse customers. For this reason, customers can order parts and equipment 24 hours a day through our Online PartStore. Just complete a simple online form to gain access to this powerful storefront showcasing our selection of new and used parts. If Cleveland Brothers doesn't carry the part you need, we rely on our global network of partners to find the part and deliver it as quickly as possible. Contact our parts professionals at 1-866-551-4602 today, or get in touch by filling out our online contact form. Cleveland Brothers is proud to offer forestry and logging companies the kind of superior machinery and equipment they require for their diverse business operations. 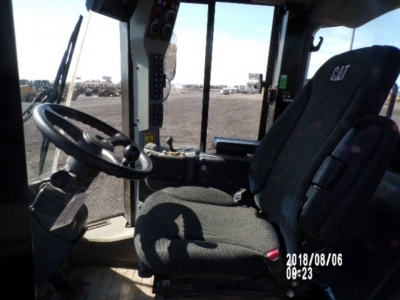 Many of the vehicles and tools are manufactured for logging purposes, and the Cleveland Brothers staff has learned the intricacies and special requirements that come with providing logging equipment and vehicles to many customers. Our inventory of new and used forestry equipment reflects the needs and demands of our customers in addition to Cleveland Brothers' dedication to helping our customers grow and expand their business. 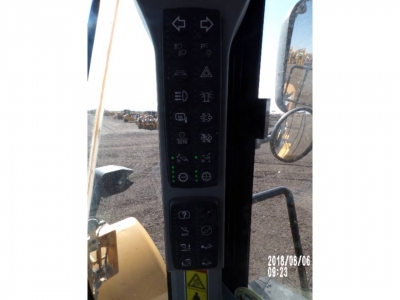 Our selection of CAT and Peterson Pacific logging machines includes equipment for each step of logging operations, from road building and wood extraction to loading and millyard processing. Many of our forestry machines can additionally be outfitted with work tools and attachments to provide the versatility needed when working in challenging conditions and terrain. 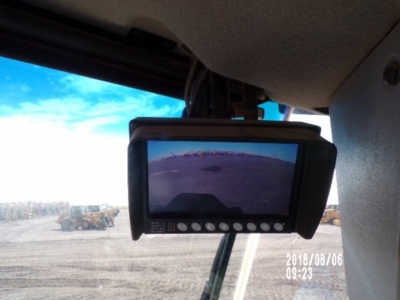 Cleveland Brothers offers a full suite of innovative online tools for customers to find the best equipment to match their operational requirements. Our Build & Quote feature allows users to customize equipment and heavy machinery to their liking and view the estimated price, possible financing options and monthly payment expectations based on their selection. Users can also update their Cleveland Brothers profile, manage their CAT equipment fleet, sign up for Cleveland Brothers newsletters and access the Online PartStore. If you don't yet have an account with us, you can sign up for one using our easy-to-use application through our website. 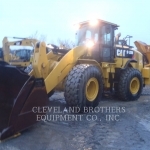 The Cleveland Brothers Equipment Co., Inc. is the most trusted supplier of CAT equipment and other industrial products for Pennsylvania, West Virginia and Maryland. Our customers rely on us to provide them with the tools they need to succeed at an unbeatable price. We take this responsibility seriously; after all, our success as a company depends on helping our customers thrive and grow. 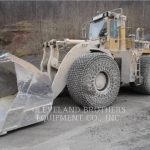 Contact Cleveland Brothers today for more information about any of the parts and equipment we offer. Explore our website to find what will work for you and increase your company's productivity and output. Whether your company is a fledgling small business or a large corporation, Cleveland Brothers guarantees a personal, professional experience. Are you an existing Cleveland Brothers customer with a Parts.Cat.Com account? Complete the following information to receive your account and promo code information within 1 business day or click here to proceed directly to Parts.Cat.Com. *Offer only valid on new Cat® parts purchased online through Parts.Cat.Com only. One time only offer. Limit of $2,500 per order. Cannot be combined with any other offer. This discount can be discontinued at any time under the discretion of Cleveland Brothers. Offer expires December 31, 2018.